Ooh La Label are a creator of amazing sticky labels for the likes of clothing, sports equipment, stationary and instruments. Needing to scale and automate the business to fit their hectic family lifestyles the founders asked Above Digital to replace their existing non-responsive website. Above Digital carefully scoped the business requirements and built a modern, well-organised responsive website that allowed users to custom design their own labels and place orders online, which could be quickly printed and then despatched. 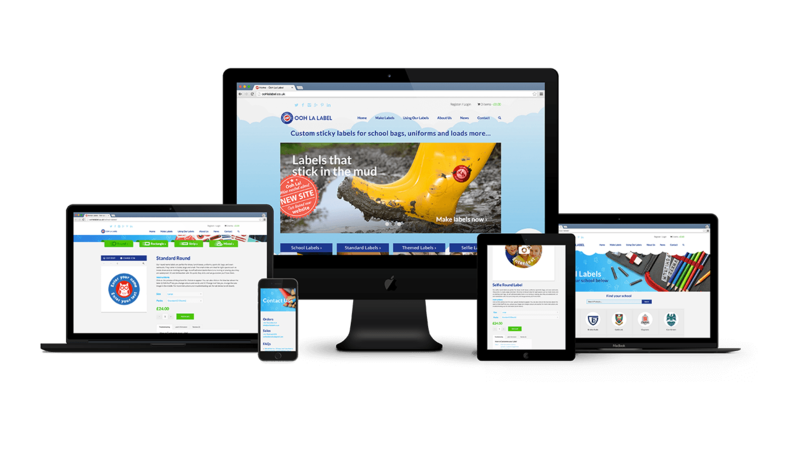 The whole website is responsive so it can be accessed equally well on mobile, tablet and desktop devices. We set up hosting and social channel management and put in place a user friendly CMS which Ooh La Label could easily manage themselves. We also optimised their SEO – monitoring the new website performance – and were a safe pair of hands, offering further support when needed. The resulting website allowed Ooh La Label to maximise efficiency, having more time to focus on growing the business and fulfilling orders, resulting in increased orders and happy customers. 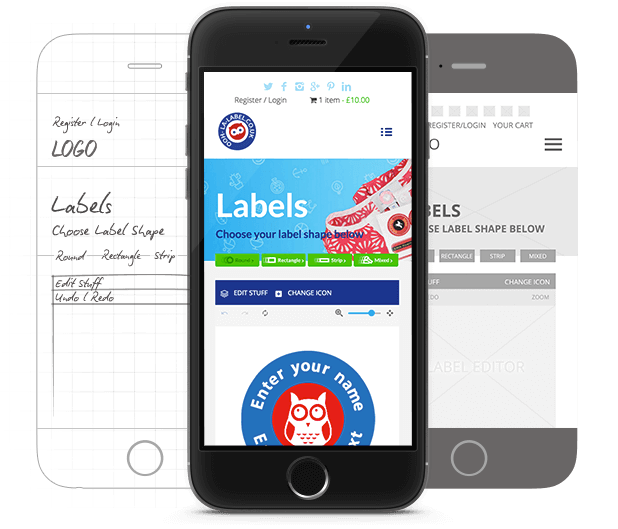 The final Ooh La Label website made the ordering of labels and the printing production process easier to use and more streamline – allowing for an increase in sales.